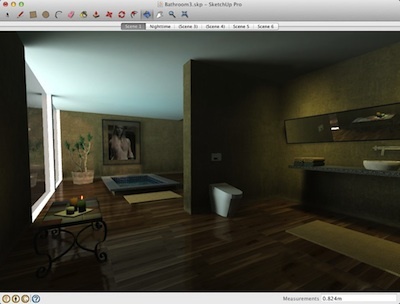 Light your models, explore in realtime and create high resolution Stills & Movies all from inside Google SketchUp. Quickly add spotlights, IES lights, daylight and backdrops. Realtime editing of material shininess, roughness, bump, and many more. Built-in "Post-production" tools such as Exposure, Bloom and Depth-of-Field all applied instantly as you watch. All without switching to (yet another) application to learn!